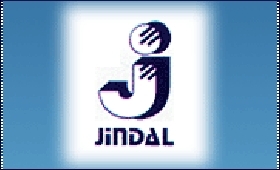 Stainless steel major Jindal Stainless Steel (Hisar) Ltd will soon commission its 50,000 tonne per annum (tpa) long products plant, said a senior official in the group on Wednesday. He said Jindal Stainless was planning to triple its share in the kitchenware/hollowware segment. "The stainless steel long and flat products go hand-in-hand. The entry into long products is part of our diversification. Further, the distribution channel for both stainless steel long and flat products are the same," Vijay Sharma, Senior Vice President, Head-Sales and Distribution (Domestic and Exports), told the media. The plant for stainless steel long products is being set up at Hisar where the company has its stainless steel flat products production facility, he said. "The long products plant will be ready for operation by the end of this fiscal. The investment for the new plant is about Rs 40 crore," Sharma said. On plans for kitchenware industry, Sharma said the group led the industry with the introduction of 200 series and will transform the industry by introducing high quality chrome-manganese product through the coil route. He said usage of stainless steel coil by the kitchenware makers would involve increased automation and increased share of the organised segment in the market. "We intend to triple our share in the next two years," Sharma said. The market size of Indian stainless steel flat products is estimated to be 25 lakh tonnes per annum which is growing at a steady rate of 9-10 per cent per annum.